Simple, tasty, attractive salads are the best. 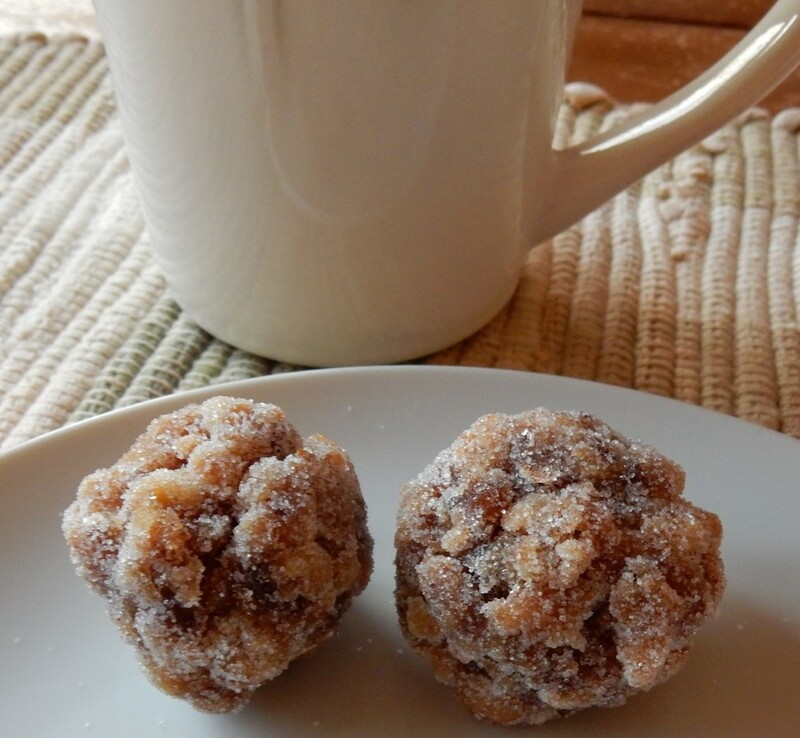 I recently found a hundred-year-old recipe that fits the bill. 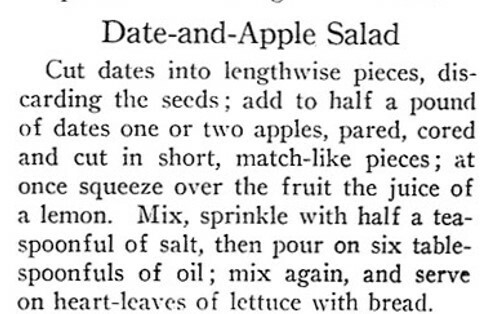 Date and Apple Salad has a light lemon and oil dressing. The apples and dates are cut into “match-stick” pieces which makes a lovely presentation; and the tart, crunchiness of the apples combines beautifully with the sweet, chewy dates. This recipe is a keeper. Cut dates into lengthwise into “match-stick” pieces, and put into a bowl. 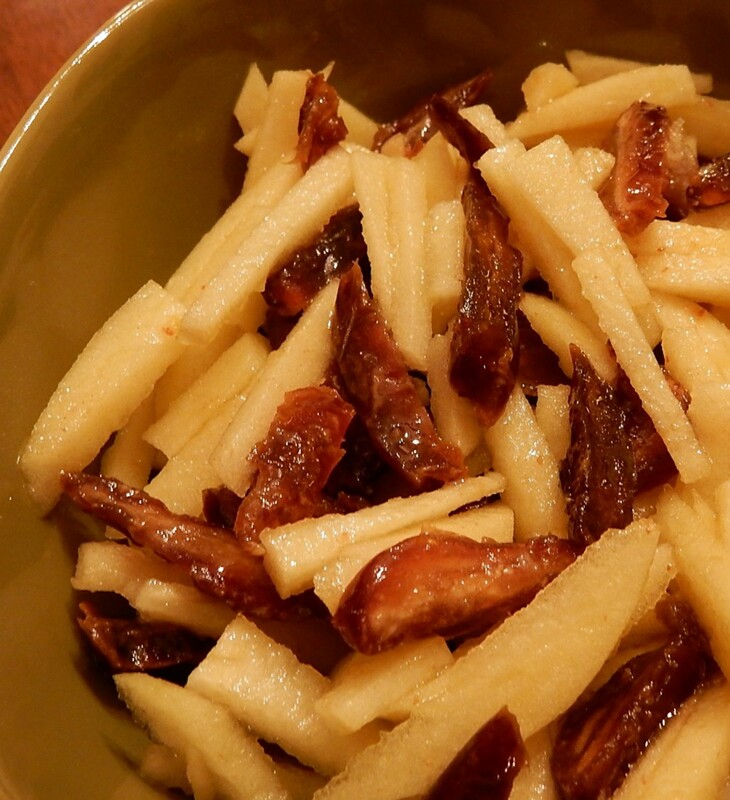 Peel and core apples, then cut into match-stick pieces. Dip apple pieces in lemon juice, then place in the bowl with the dates. Add salt and oil; then gently toss. If desired, serve on lettuce leaves. The hundred-year-old recipe called for six tablespoons of oil. This seemed excessive, so I used two tablespoons of oil.